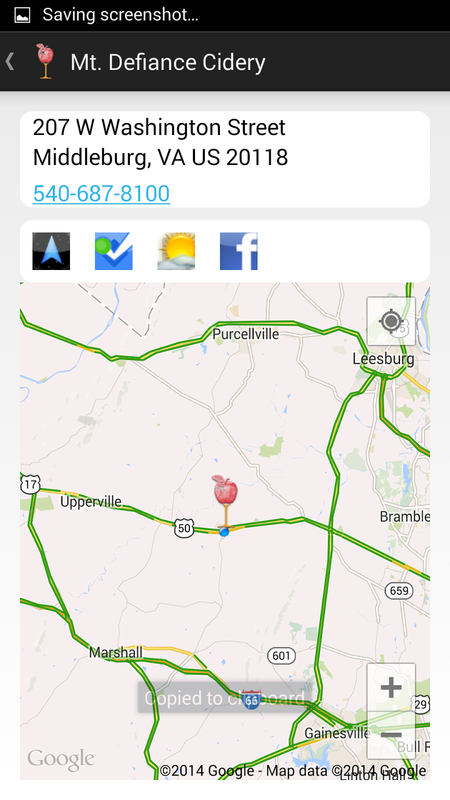 Middleburg Virginia was already a solid wine destination with several surrounding the old town; but now there is even more of an incentive with the addition of Mt. 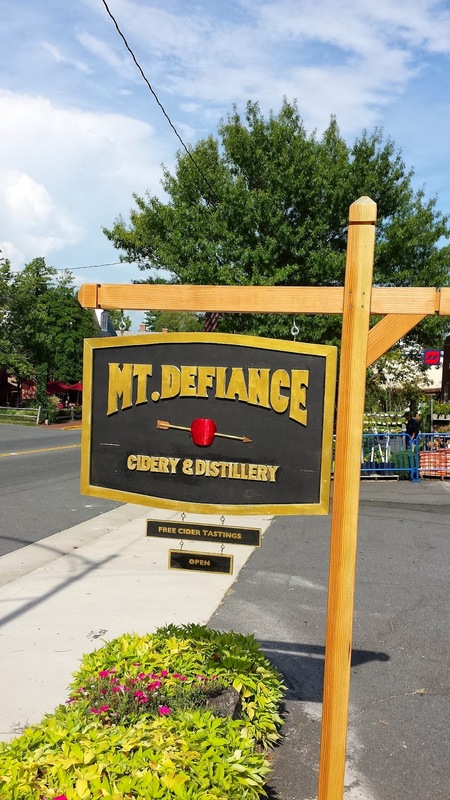 Defiance Cidery - right at the end of Washington Street. The cidery is the second cider operation started by Marc Chretien, who opened Vermont's Stowe Cider last year. Growing up in Northern Virginia, Chretien wanted to return to the DC area to join the growing Virginia cider movement. Currently the cidery operates in an old gas station in Middlburg, but Chretien plans to move production to a larger facility in the country to accommodate a canning line. Don't worry however, the location will then be home to Mt. Defiance Distillery. The nano-distillery is currently producing small batches of rum, absinthe, and applejack that should be available in ABC stores and the distillery this fall. Currently at the cider, there are four ciders on tap. And I mean on tap - bring your growlers to stock up; although there are some bottles for sale. The flagship Farmhouse Cider is a traditional dry cider, very tart and refreshing. 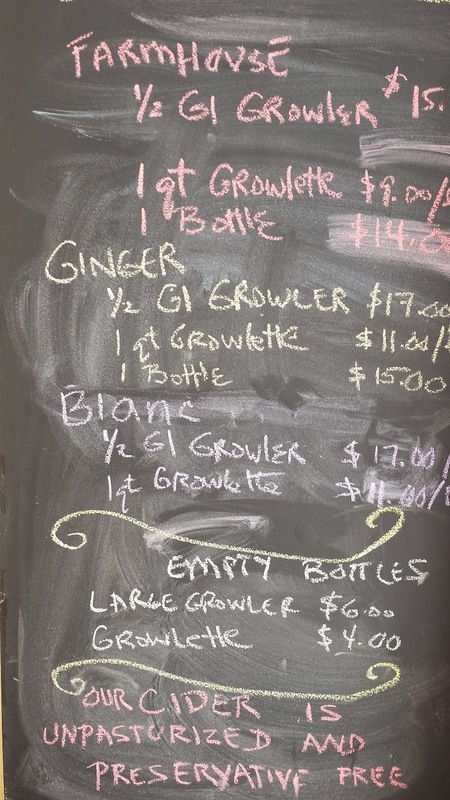 They also produce a Ginger Cider with this batch evidently higher in ginger - interesting - but not my thing. 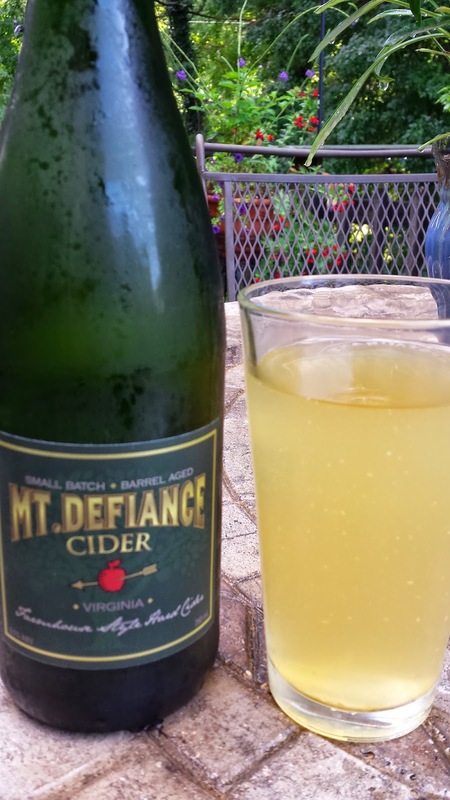 The Cider Blanc was fermented with wine yeast and is tasty with a more bready flavor than apple. Finally, their General's Reserve Barrel Aged is apple cider aged in used Wild Turkey bourbon barrels. This is delicious, only subtle hints of the whiskey that doesn't overwhelm the apples. This one is only available in growlers so be prepared when visiting. Cheers.